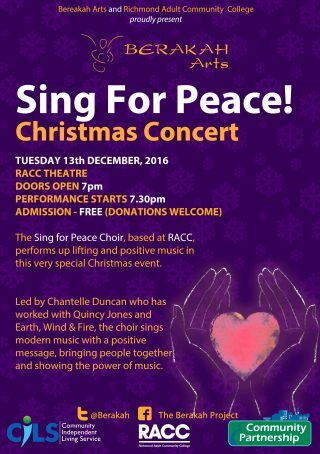 After a successful Christmas Concert, I hope we can encourage more people to join our Sing for Peace Choir, and our Increase the Peace Youth Band. 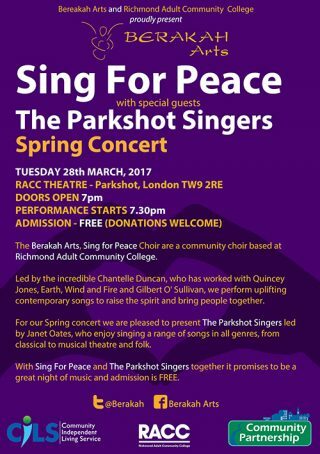 The choir sessions start again on Monday January 16th at Richmond Adult Community College, Parkshot, Richmond, TW9 2RE at 7pm. No experience is needed and the sessions are FREE! 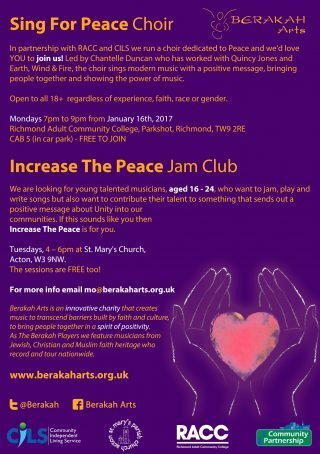 The Increase The Peace sessions are for young musicians aged 16 – 25 and take place on Tuesdays, 4 – 6pm at St. Mary’s Church, Acton, W3 9NW. The sessions are FREE too! 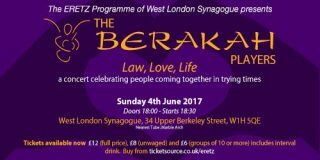 Get in touch with mo@berakaharts.org.uk for more info. Increase the Peace Jam Club! I really believe that it’s up to the next generation to show us all how to live together but we need to encourage them and provide them with opportunities. 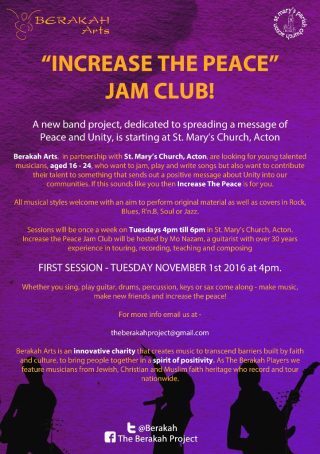 That’s why, in partnership with St. Mary’s Church in Acton, we’re starting a new ‘jam club’ for young musicians. Please spread the word and if you’re in media/blogging – get in touch. We need everyone’s support. 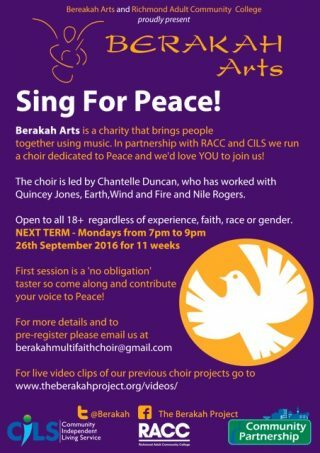 Finally, we’re starting our choir project again, in partnership with Richmond Adult Community College, from Monday September 26th, 7pm to 9pm. We had a brilliant time last year with numerous performances and a really great set of songs to sing. We encourage anyone who has ever wanted to sing to come along, no experience necessary. And, thanks to RACC and CILS, it’s free! 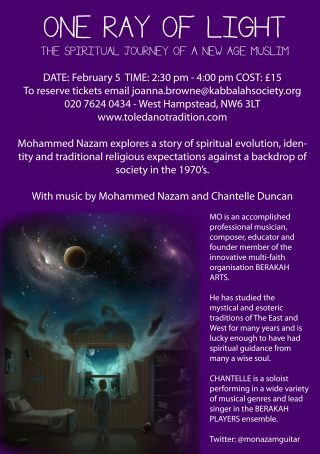 All the details are on the flier below. Come and get involved in something positive. Singing for Peace couldn’t be more important now. To be honest, Peace really needs you!